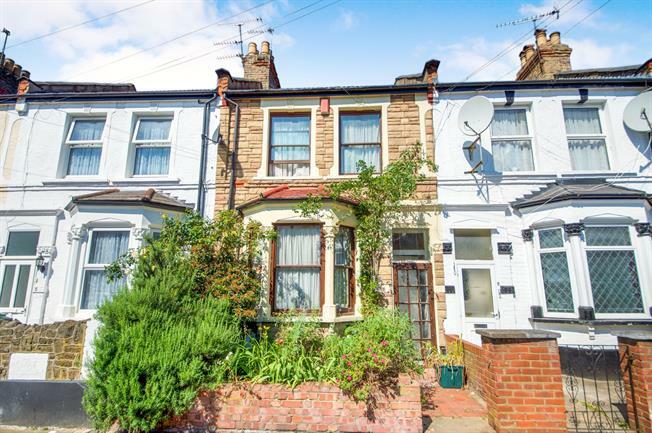 3 Bedroom Terraced House For Sale in London for Asking Price £625,000. Benefits include freehold, intercommunicating reception rooms, bay window, original floorboards, garden in excess of 50 feet, double glazing (where stated), gas central heating (untested by Bairstow Eves), loft space. Wooden single glazed door. Double glazed window facing the rear overlooking the garden. Radiator, tiled flooring. Wood work surface, double sink, space for oven, overhead extractor, space for washing machine. Double glazed bay window facing the front overlooking the garden. Radiator, original floorboards, chimney breast. Wooden , opening onto the garden. Radiator, original floorboards, chimney breast. Large garden in excess of 50 feet. Double bedroom; double glazed window facing the front overlooking the garden. Radiator, carpeted flooring. Double bedroom; double glazed window facing the rear overlooking the garden. Radiator, carpeted flooring. Double bedroom; double glazed window facing the rear. Radiator, carpeted flooring. Double glazed window with frosted glass facing the rear overlooking the garden. Radiator, vinyl flooring. Low level WC, panelled bath, pedestal sink.